The Ventura County Sheriff’s Department and the Los Angeles County Sheriff’s Department jointly announced the repopulation of the Carlisle Canyon area that was impacted by the #WoolseyFire. 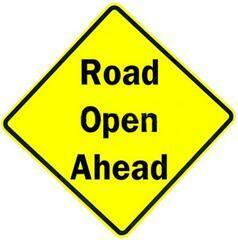 Carlisle Road, west from Mulholland Highway is reopened. There will be a hard closure on Mulholland Highway at Country Ranch Road, preventing vehicles from exiting the area at that point. Simply visit the link and enter an address for the #WoolseyFire area in the search field and press enter. You can then scroll out on the map to determine if the indicated area has a red or green background. Red indicates the area is still closed and unsafe to return. Green indicates the area is open for repopulation. In addition to the map, the above written descriptions of the areas to be opened has been provided. The Ventura County Sheriff’s Department and Los Angeles County Sheriff’s Department together have a strong presence in the repopulated and evacuated areas for the next several days to ensure the protection of our residents and their property. All other road closures and evacuated areas for the #WoolseyFire remain in effect.